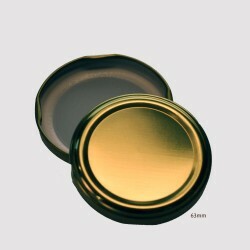 These 58mm lids will add colour and a gourmet touch to your home preserves. Fit any standard twist top style thread. Packet of size 48mm Twist Top Lids with attractive fruit pattern on top: perfect for market stalls, .. Most twist top lids are only suitable for short processing times: these red and white lids are high .. 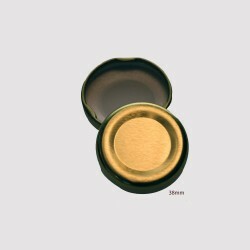 These twist top lids are a high heat version which means they will withstand temperatures up to 128 ..
Packet of size 63mm Twist Top Lids with attractive vegetable pattern on top: perfect for market stal..
Packet of size 70mm Twist Top Lids with attractive vegetable pattern on top: perfect for market stal.. These twist top lids are rated to 98 degrees for 20 minutes so this makes them suitable for jams, ch..
58mm high heat deep twist top lid. 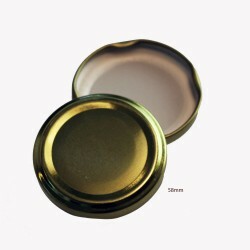 Replacement lids for MyRex preserving jars in particular. High .. 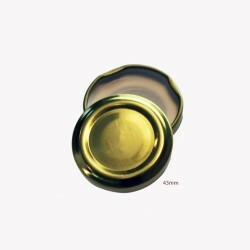 Most twist top lids are only suitable for short processing times: these lids are high heat and can b..
Packet of size 38mm Twist Top LidsRecycle your supermarket-bought bottles and jars!Please no..
Packet of size 43mm Twist Top Lids. Recycle your supermarket-bought bottles and jars!Lids a..